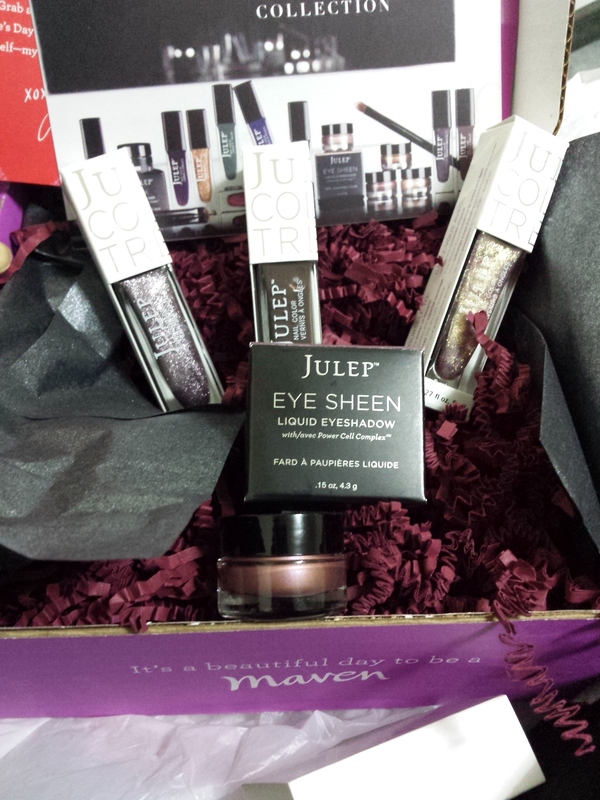 Almost forgot to show off the Julep box for February! 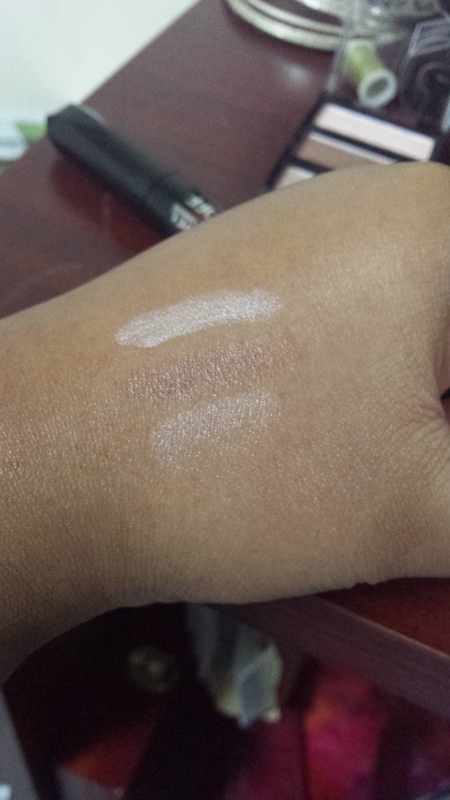 This month we got three colors and a liquid eye shadow. From left: Cameron (purple textured glitter), Rooney (deep taupe/brown creme), and Love (gold shimmer with red glitter). Love was a bonus color included in all boxes this month. I got the fig shimmer eye sheen. It doesn’t crease! Although my eyelids eat everything, it wears well. Stay tuned for a look featuring Cameron and Rooney! 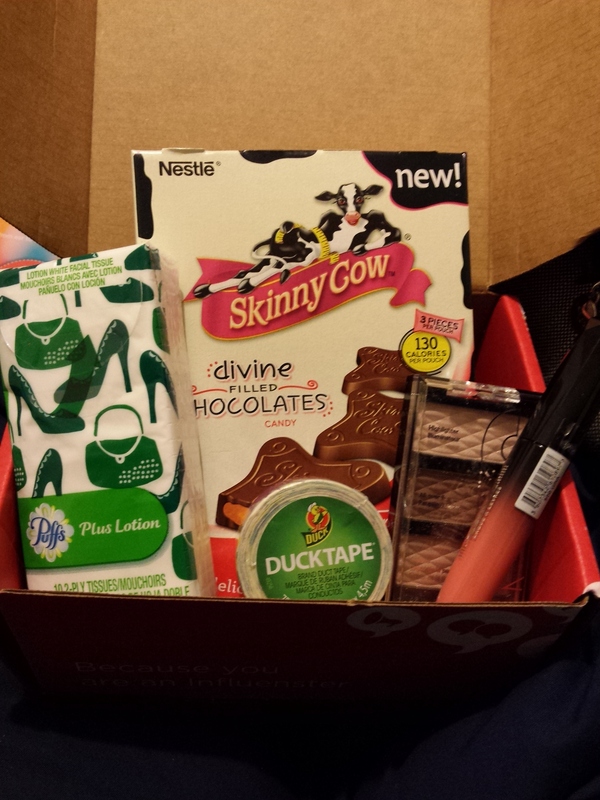 I got a box of Skinny Cow chocolate, a mini pack of Puffs, a mini Duck Tape (they’re called Ducklings! So cute! 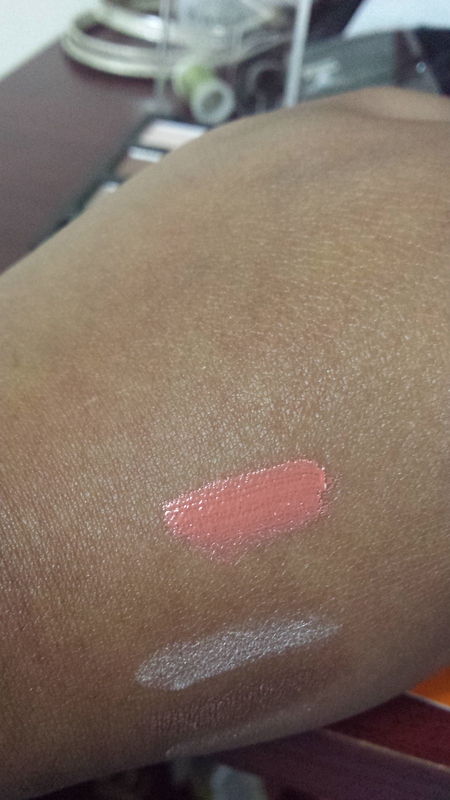 ), a NYC shadow palette, and a Rimmel lipgloss. Skinny Cow: so I mentioned I have a mild chocolate allergy (it just makes me a bit itchy if I have too much.) I popped a Benadryl and dug in. OMG, so good! I don’t do diets, so I wouldn’t be using these as part of a diet plan, per se. But I do make an effort to cut back on sugar, and this gives you enough of a fix that you don’t want to eat the whole box. These are peanut butter filled, but they have caramel clusters and crunchy ones too. Puffs: fancy lil pack, right? I keep these in my bag, especially here in the frozen north where wind makes both eyes and noses run. And they have lotion for that extra softness. Duck Tape Duckling: OK. I have no clue what to do with this, at least not yet. I would have used it to fix my glasses had they not had a paint splotch print on them. On the upside: they have paint splotch print on them! I can use it for…things! I haven’t figured it all out yet. But when I do, it’s gonna be taped, mark my words. And now? On to my favorite part of the box: the makeup! That’s without primer, so it’ll be a great basic set of colors with. But that lipgloss? And that’s the Jolly Vox Box! Questionable colors notwithstanding, it was a pretty awesome collection of goodies to try. Next up? I got some new glasses and a funny story to share with y’all. Until then, stay beautiful! Full disclosure: all items in this post were provided to me, complementary, by Influenster for the purposes of review. All opinions are my own. 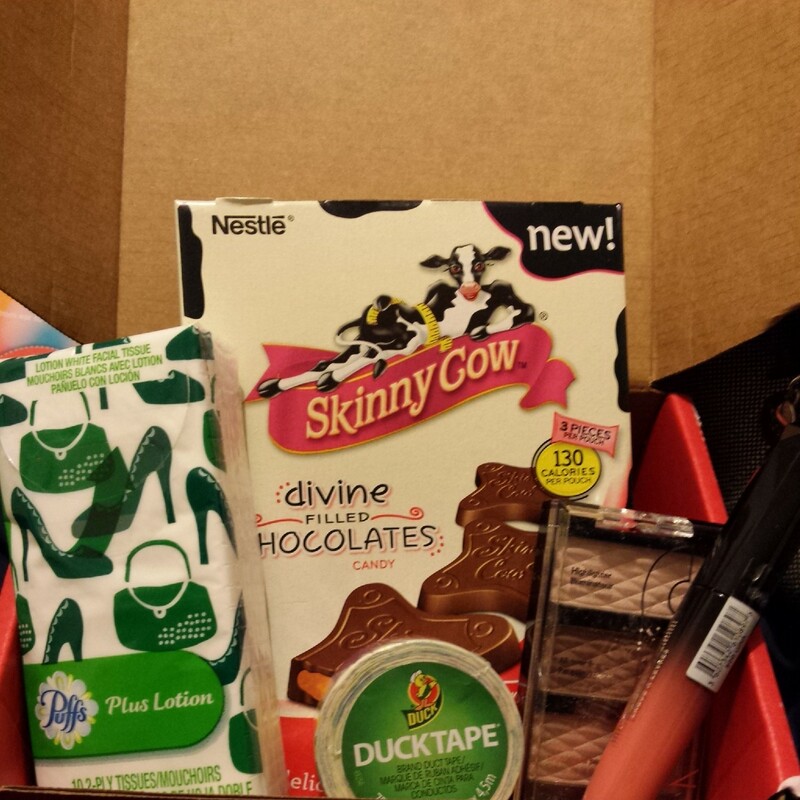 Quick Hit: I Got a VoxBox! Just wanted to give you a little teaser into the weekend. I am a part of a website called Influenster (if you’re already a part of the site, I’m here), and they send out boxes of things for folks to try and review (interested in learning more? Click here!) They’re called VoxBoxes, and one must first qualify to receive one. I received a box of Skinny Cow chocolates, a packet of Puffs (such cute packaging! ), a mini roll of printed DuckTape (it’s little paint splotches! 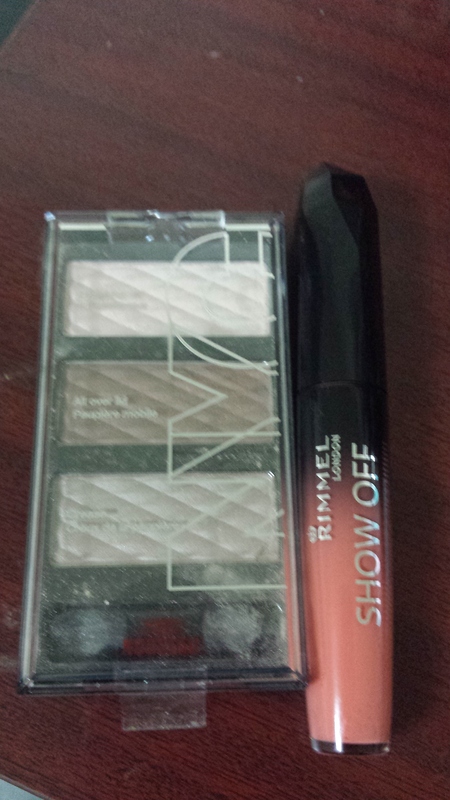 ), a NYC Cosmetics eyeshadow palette, and a Rimmel lip lacquer. The full details and opinions are coming tomorrow, but the initial reaction? Pretty cool stuff! See y’all Saturday with the full details. Until next time, stay beautiful! Legal Stuff: all items in this post were provided to me by Influenster for reviewing purposes.